Mahathir's opposition won 121 seats, if a small ally from Sabah state is included. There are 222 seats in parliament and a majority is needed to form a government. Kuala Lumpur: Malaysia’s defeated leader Najib Razak said Thursday he accepted the will of the people after his long-ruling coalition suffered a shock election loss to 92-year-old former strongman Mahathir Mohamad. “I accept the verdict of the people,” the leader, who looked shattered after his coalition’s defeat, said. But he added that because no single party got a majority in parliament, it was up to the king to decide who will become prime minister. Mahathir’s opposition won 121 seats, if a small ally from Sabah state is included. There are 222 seats in parliament and a majority is needed to form a government. 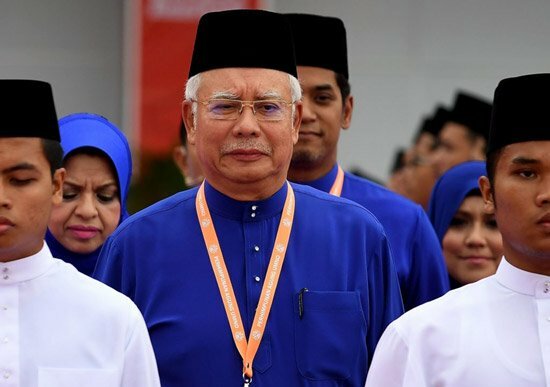 The veteran ex-leader, who led the country with an iron first for over two decades, stormed to a shock victory at the hard-fought election early Thursday, beating Najib Razak’s Barisan Nasional (BN) coalition that has been in charge for over six decades.